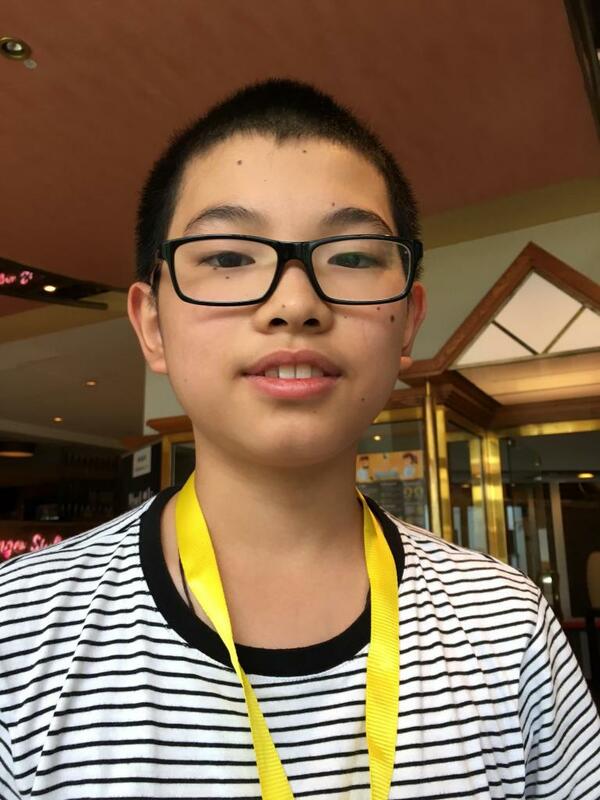 In the U12 category, Liu Yanjun (4d, China) won in the final against Lu Yuqiu (3d, China). 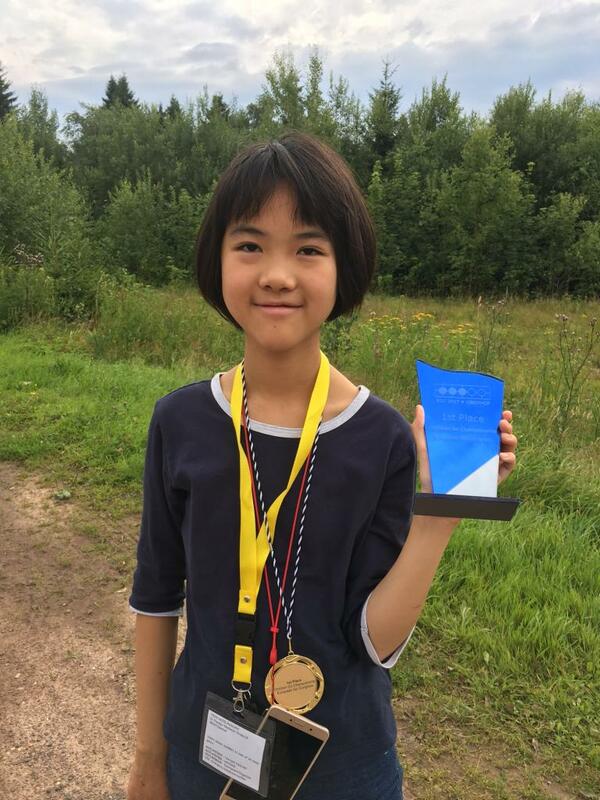 Yanjun (photo below) did not only make the first place in the U12 category, but she was also undefeated in the whole tournament (even against older kids)! Third came Askar Khusainov (3k, Russia). In the U16 category, Chen Feiyang (2d, German, photo below) won. Although he had two very narrow defeats against Yanjun and Solal Zemor (by 1 point and by 2 points) in the preliminaries, he won the decisive final against Solal Zemor (1k, France). Solal made an impressive performance: even though starting below the MacMahon bar, he ended up with a second place! Third came Arved Pittner (3d, Germany). Youngest participant was Janosch Petri (30k, Germany) with 4 years. He played a solid 2–2 in his first tournament! U12 participant are marked with a star (*). The tournament for the champions of tomorrow! We welcome all children and young player who are strong enough to play on the 19×19 board to participate in the EGC Children and Youth Tournament! All games are played with 30 minutes total thinking time (no byoyomi!) and will be EGF ranked. Deadline for registration is Monday, July 31, 13:30 (one hour before the start of the tournament – watch out: Germans are terribly punctual, so please don’t be late)! Rounds 1-4: McMahon system for all participants together (reduced handicap if MMS differs by more than two points), 7 Komi (for even games). Round 5: Semi-final in the age categories U16 (born until 2001) and U12 (born until 2005), no handicap, 6.5 Komi. Players who did not qualify for the semifinal, can play instead simultaneous games with professionals! Round 6: Winners of semi-finals play finals and losers play out the third places (no handicap, 6.5 Komi). Players who did not qualify for the semifinal, continue with their simultaneous games. thanks to our sponsor “Game of the Year” (“Spiel des Jahres e.V.”), we will have a number of exciting board games as prizes!